In part one of this report I shared with you my thoughts and experiences around the main lobby, character dining, shopping, our room, the spa, fitness centre, conference centre and much more. In this second, concluding part I am going to share with you everything from character greetings, the pool area, lazy river, other dining and shopping options, the beach, and more! Let's start where we left off in the last part, heading down to the Waikolohe Valley. The Waikolohe Valley is where the majority of the fun and relaxation at Aulani happens. It's where the pool, the lazy river, more dining and bar options, snorkelling reef and several other features are located, not to mention being the access point to the beach, and where nearly all the character greetings occur. Wandering around the valley you get to experience the beautiful natural flora and fauna of Oahu, and some of those all important Disney details. Here at Character Central we always strive to have good, reliable and up-to-date information, which is why I don't tend to use the blog to make these kinds of posts usually. Character locations and information are usually updated via the individual location and character profile pages on this site, as it is easier to control. 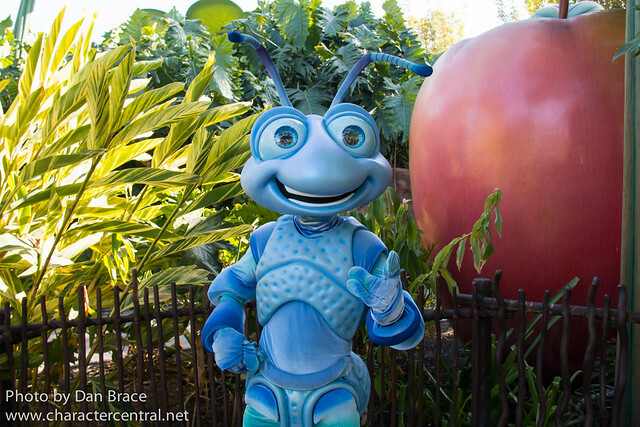 However, following on from the success of my previous Walt Disney World article on the same subject, I felt I needed to write a guide to characters at Disneyland Resort, too. Please remember that these are the most frequently asked questions that we get for Disneyland Resort only. Where can I find Mickey Mouse? 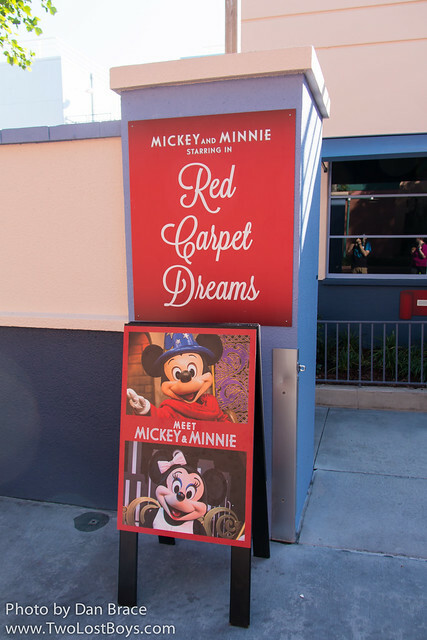 One of the top questions for guests to ask is, "Where can I find Mickey Mouse?" Well, Mickey has several permanent locations at the Disneyland Resort theme parks. The top place to meet Mickey Mouse is at his very own home, in Toontown. Here, you can meet Mickey Mouse while he films scenes from various cartoon shorts. Sometimes he might wear his "classic" outfit, and on other occasions you may be lucky enough to find him dressed in his Sorcerer's Apprentice, Steamboat Willie or Band Concert costumes! 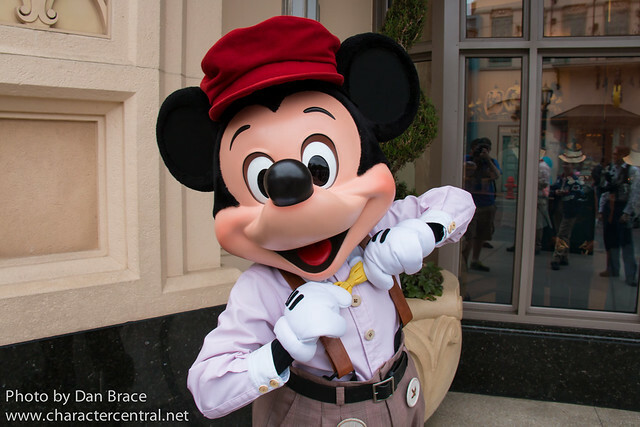 Other great locations to find Mickey Mouse include in Town Square on Main Street USA, intermittently throughout the day, or on Buena Vista Street at Disney California Adventure, where he wears his cute Buena Vista Street outfit. Who else appears besides Mickey Mouse? Can I meet the Disney Princesses, for example? 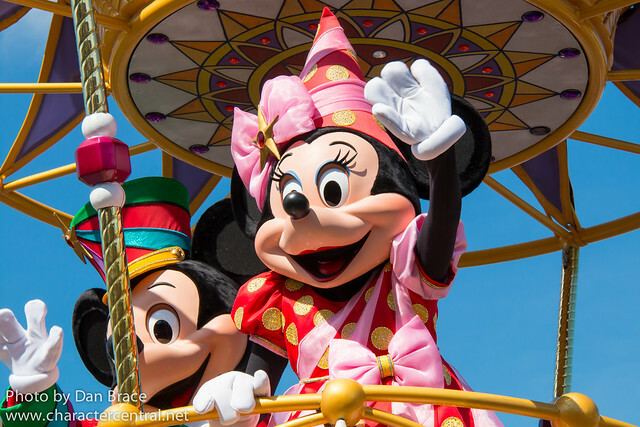 Across Disneyland Resort theme parks, you can nearly always meet Minnie Mouse, Goofy, Pluto, Donald, Chip and Dale. All six of those have regular locations across both parks, but times and availability may change depending on the day of your visit. 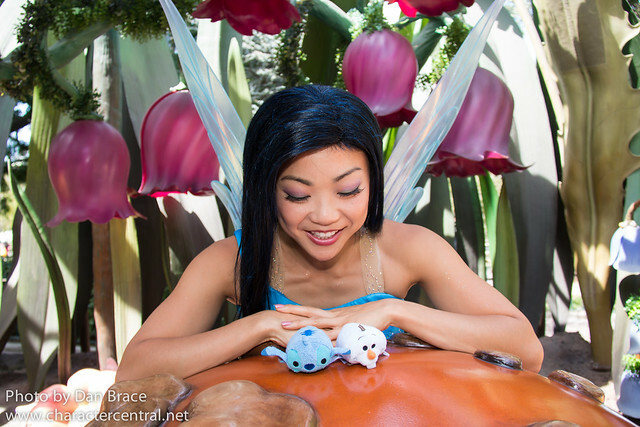 The Disney Princesses appear at Disneyland Park at various locations, such as Royal Hall at Fantasy Faire, Pixie Hollow, and on Main Street USA. Royal Hall is home to a multitude of princesses who rotate throughout the day, including Cinderella, Rapunzel, Ariel, Merida, Belle and Snow White, although of course Disney could change this at any time. You can also meet Anna and Elsa at the Animation building in Hollywood Land, or Lightning McQueen and Tow Mater in Cars Land, all at Disney California Adventure. 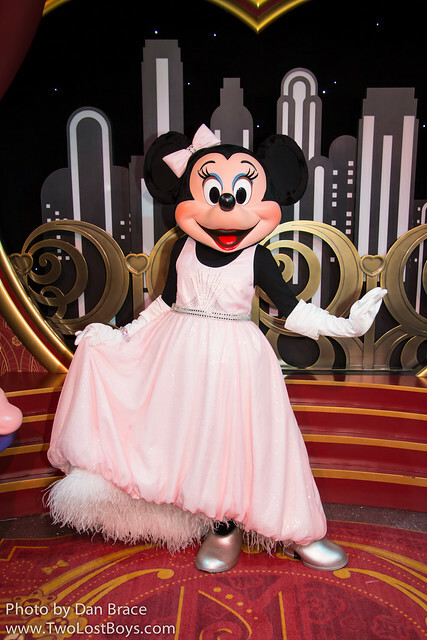 Other characters, such as Peter Pan, Mary Poppins, Winnie the Pooh and friends, Oswald the Lucky Rabbit, and many more, all appear throughout the theme parks. You should check the schedules for the day of your visit (see further below for more information). 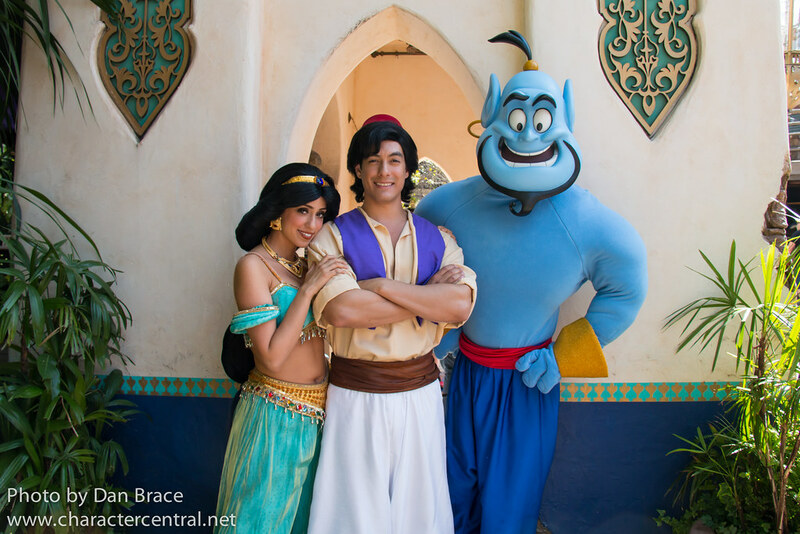 Do the Disney characters appear randomly at the Disney Parks? 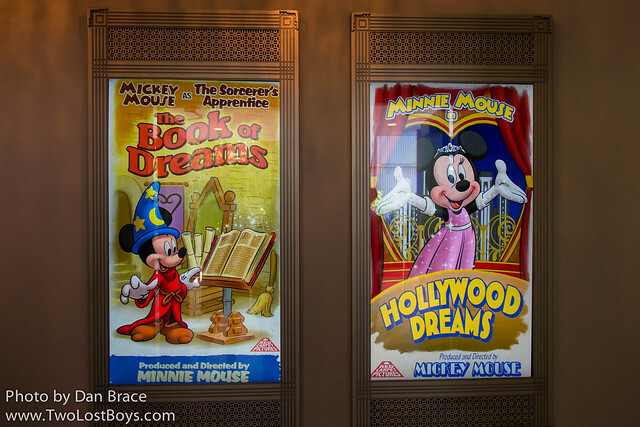 Many of the character appearances at the Disney theme parks are on the published schedule, which can be picked up upon entering the theme parks. There are some that are not always listed though, depending on whether there are other events happening, and how much space is dedicated to the characters on that schedule. If a character does appear that is not on that day's schedule, chances are they nearly always out in the parks anyway. Disneyland Park especially, more than Disney California Adventure, will often feature characters on Main Street, near the Castle and around Fantasyland that are not on the published schedule. It is quite common (though never guaranteed) to see Peter Pan, The Queen, Mickey and friends, and even Disney Princesses on Main Street and around the Castle. Their locations can be changeable, and they may not even appear in the same place twice on the same day. Do the Disney characters walk freely around the Disney Parks? 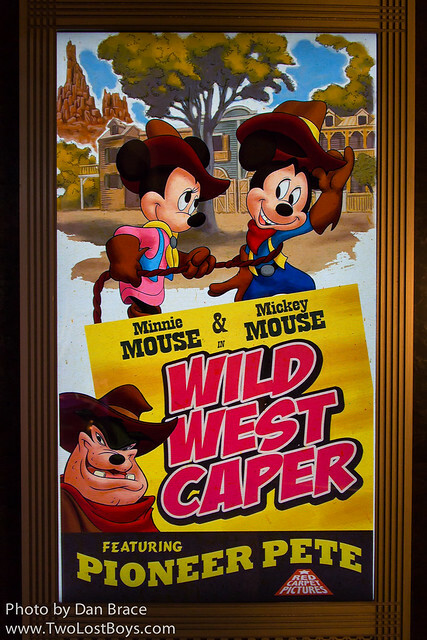 Many of the unpublished characters mentioned above do not have a host with them, which guests who frequent Walt Disney World often may find strange. There is a certain calm and laid back approach to character greetings at Disneyland Resort that Walt Disney World seems to lack. 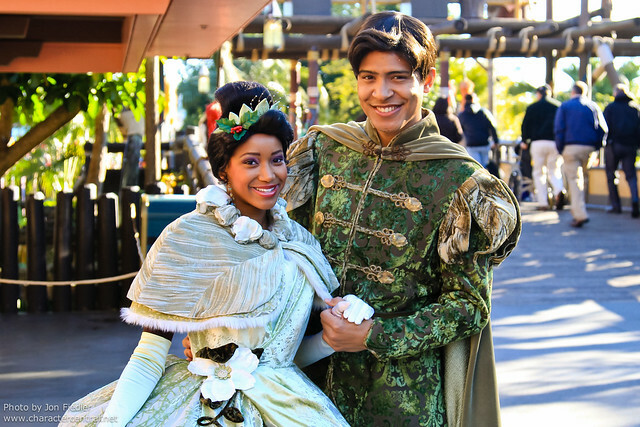 More often than not, when meeting characters such as Mary Poppins and Bert, Peter Pan, The Queen, Alice and the Mad Hatter and the Princesses on Main Street, there will be no host, but guests will form an orderly in anyway. 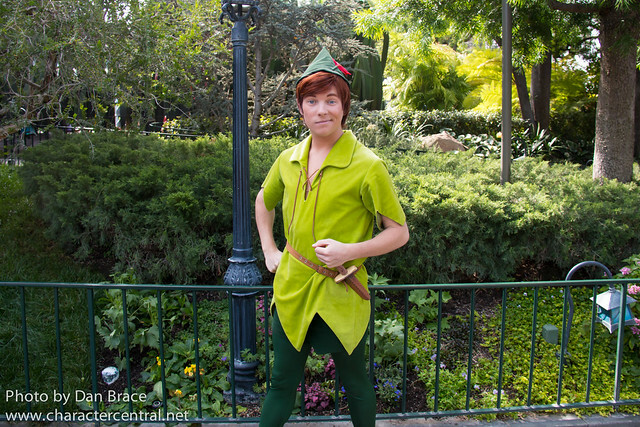 Characters such as Peter Pan sometimes wander and run around having fun rather than stopping for photos. This is quite normal for Disneyland, and the local guests seem to get a lot out of it. If a character is roaming and doesn’t look as though they are stopping, you probably shouldn’t harass them by asking them for individual photos with your entire family. 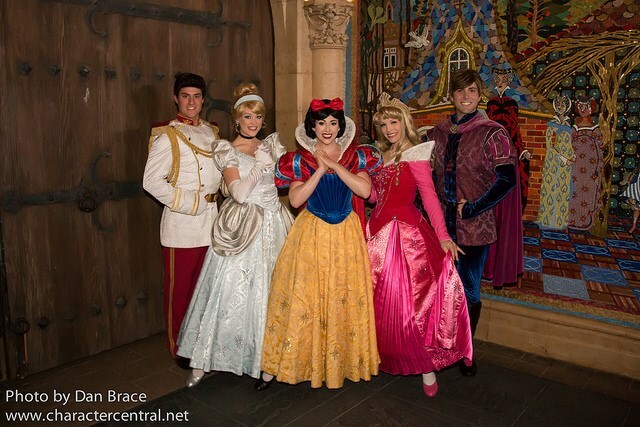 Do the Disney characters visit the Disney Resort Hotels? Unfortunately the Disney characters rarely make hotel appearances at Disneyland Resort. 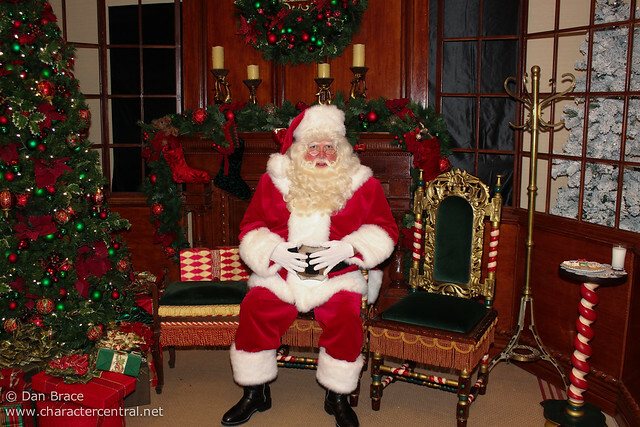 In the past, around Christmastime, Santa Claus has appeared at the three Disney hotels, but as with everything, this is subject to change. 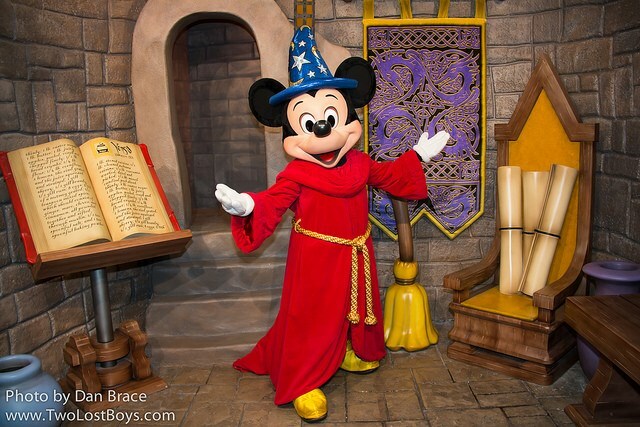 Do rare characters appear at the Disney theme parks? This one is a tricky one to answer, but overall the answer is, "no, not nearly as often as we'd like!" Of course, the definition of "rare" can change considerably from one year to the next, but generally speaking, if a character has not appeared in over a year, and show no signs of returning, then they are pretty "rare". 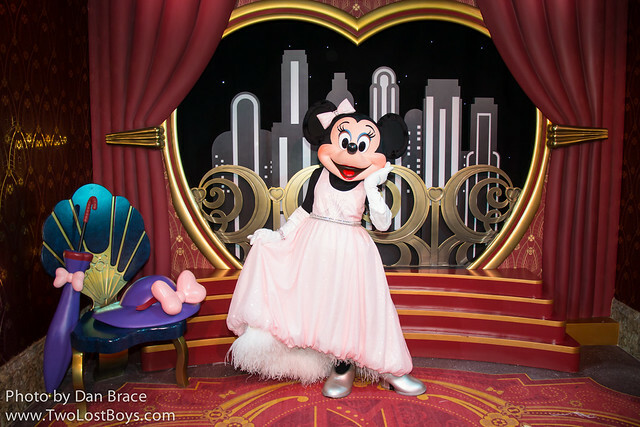 Characters at Christmastime and during the Halloween parties, although not appearing daily, aren't so much rare as they are seasonal or event specific. 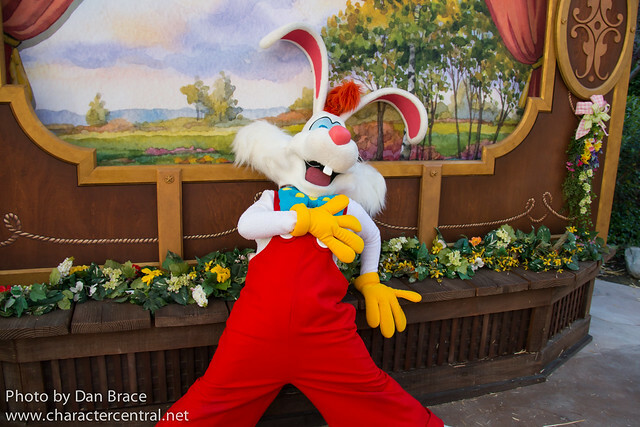 For two years running Disneyland Park has held the popular Springtime Round-up event at Big Thunder Ranch in Frontierland, which starred Roger Rabbit, Br’er Rabbit and other more common bunnies. Although Roger Rabbit appeared (almost) daily at this event, it is never guaranteed that he, or even this event, will return again. Roger Rabbit hadn’t appeared for many years before his return for this spring happening, so you could say he’s pretty rare. Do you have any tips for a better experience when meeting the characters? Do the characters sign autographs, for example? This one is pretty open ended, but I would say that if you're going to meet a character, be sure to know who they are! Before your trip, if you think there is a chance you may meet one particular character, watch their movie before you visit. When you visit them, you can ask them about their adventures, their friends and families, etc. For example, if you are going to meet Aladdin, ask him how Abu is and if he has gotten into any more trouble lately. Characters also love seeing themselves on clothing and accessories, bags, pins and lanyards, etc. Be sure to have your cameras ready to capture any cute moments, and buy an autograph book and a pen that works, so they characters can sign their names. Something which we have taken to doing recently, which both us and the characters really enjoy, is taking along our Disney Tsum Tsums to meet the characters. If we know we are going to meet a specific character on any given day, we try to take with us the Tsum Tsum of them, or someone related to them. They’ll often (though not always) pose with the Tsum Tsums, making for super-cute photos! Do the characters appear in shows and parades? 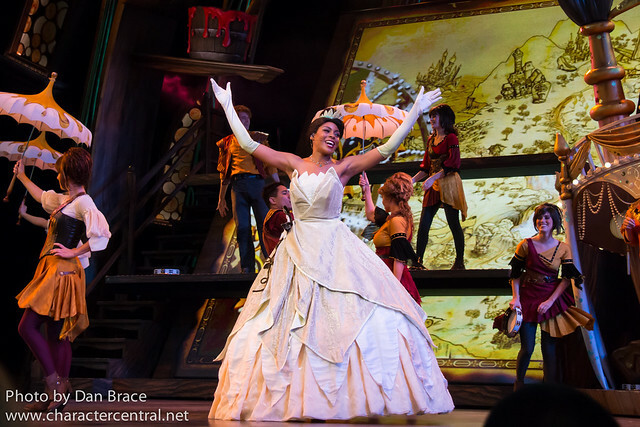 The Disney characters appear in many shows and parades across the theme parks. Disneyland is well known for the sheer amount of entertainment they offer, which can change frequently. Currently, and always subject to change, the most popular shows and parades include (but definitely not limited to): Mickey’s Soundsational Parade, Paint the Night parade, Mickey and the Magical Map, Aladdin - A Musical Spectacular, the Frozen Sing-Along and the PIXAR Play Parade. Can I dine with the Disney characters? Yes! You most certainly can! Character dining is a fun way to meet the Disney characters while enjoying a great meal at one of Disney's fabulous themed restaurants. Currently, you can dine with the Disney characters at five locations at Disneyland Resort. 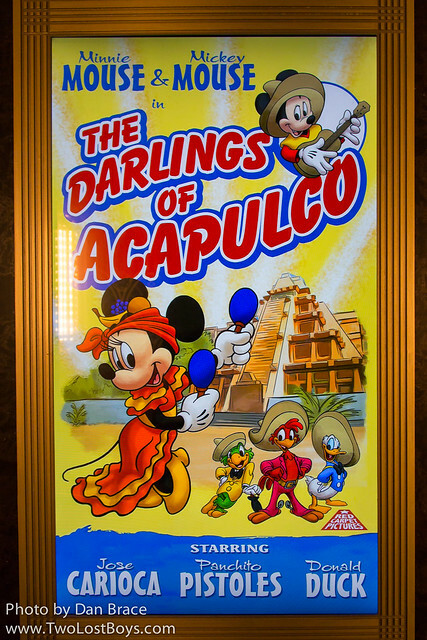 These are: Minnie’s Breakfast in the Park at the Plaza Inn, Ariel’s Grotto at Paradise Pier, Chip ’n’ Dale’s Critter Breakfast at Storyteller’s Cafe in the Grand Californian, Goofy’s Kitchen at the Disneyland Hotel and Surf’s Up with Mickey and Friends at the Paradise Pier hotel. 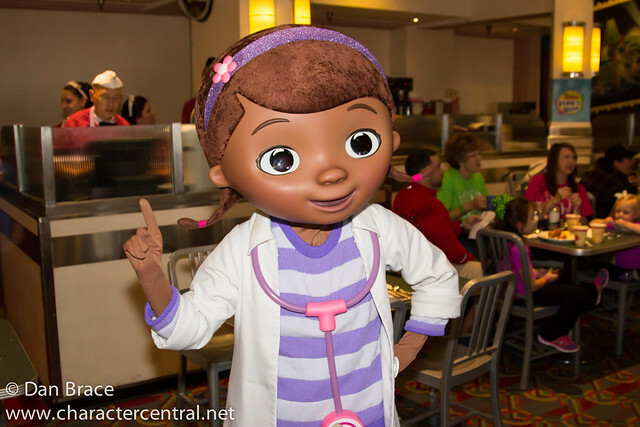 What's fun about these meals is that at many of them, the characters wear special themed outfits for the occasion, for example at Storyteller’s Cafe, Chip ’n’ Dale wear cute scarves, at Goofy’s Kitchen Goofy and friends wear chef outfits, and at the Surf’s Up breakfast, Mickey and friends wear beachwear. Here are some of my suggestions for finding out more about how and where to meet the Disney characters. Words highlighted in blue take you to that specific link. The official Disneyland Resort website has some limited character greeting information, however, I personally have found this to sometimes not have all the information I want. Here at Character Central we have a vast guidebook for all the Disney parks, locations and characters. A good start for a good general overview would be what we call our "cheat sheet" for finding characters at the parks. 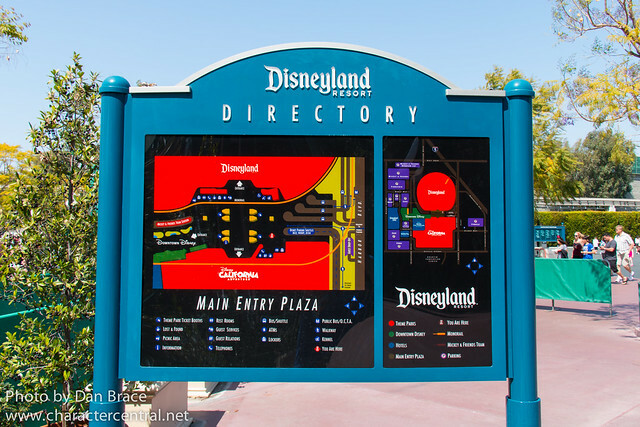 On this cheat sheet we list the characters we have seen at Disneyland Resort, rate the chances of you finding them, and the general location you might spot them. These links are of course only my recommendations, and should be used as a guide for planning only. Anything can change at any time, without notice from Disney. If you have any further questions, you can join our friendly forum, and us or our members will happily help you out! 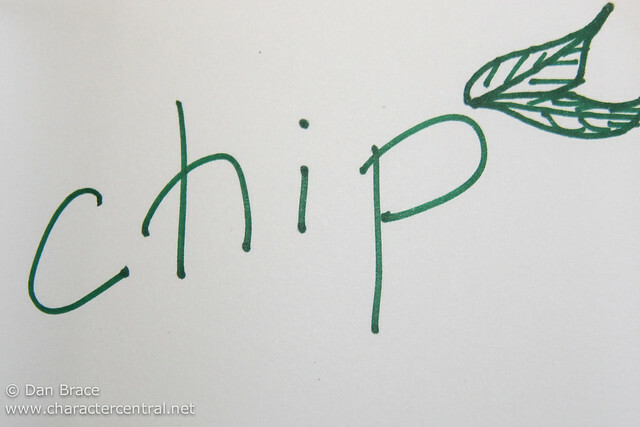 Here at Character Central we always strive to have good, reliable and up-to-date information, which is why I don't tend to use the blog to make these kinds of posts usually. Character locations and information are usually updated via the individual location and character profile pages on this site, as it is easier to control. However, recently we have received a lot more requests for information about how to find characters at the Walt Disney World theme parks. The reason I don't like to make blog posts about this is because things can change frequently, and I don't want to mislead anyone, especially when our location and character pages are updated often. With that said, and I realise that was quite a detailed reasoning, I thought that it wouldn't hurt to answer some of the questions we get asked. Please remember that these are the most frequently asked questions that we get for Walt Disney World only. Mickey Mouse appears at set locations at all four of the Walt Disney World theme parks. His appearances are daily, and usually hold long hours (often, though not guaranteed, from around opening to just before closing. Check on the day of your visit). 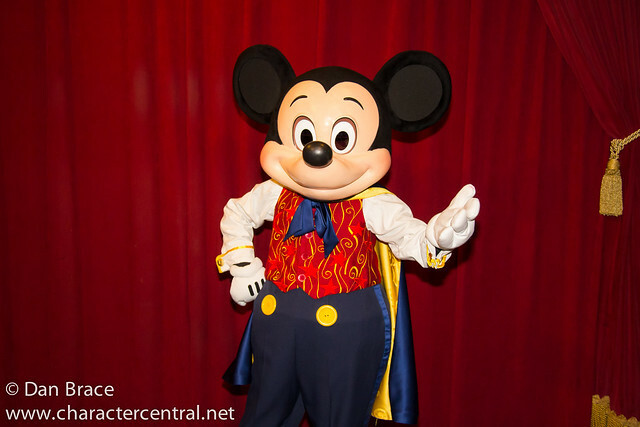 At the Magic Kingdom, you can meet magician Mickey near the park entrance, where talks and interacts with guests at Town Square Theater (on Main Street USA). 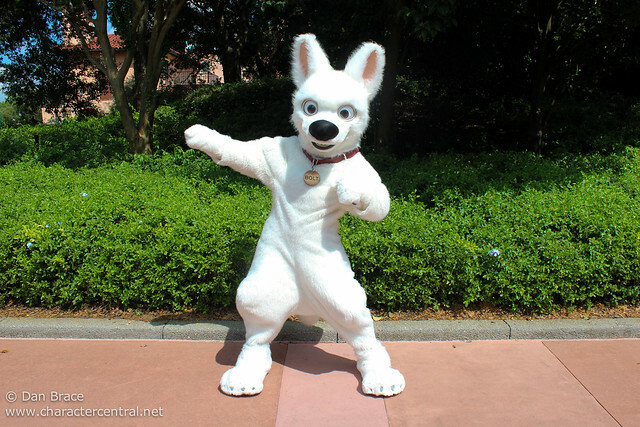 At Epcot, he wears his classic outfit at the Epcot Character Spot in Future World. 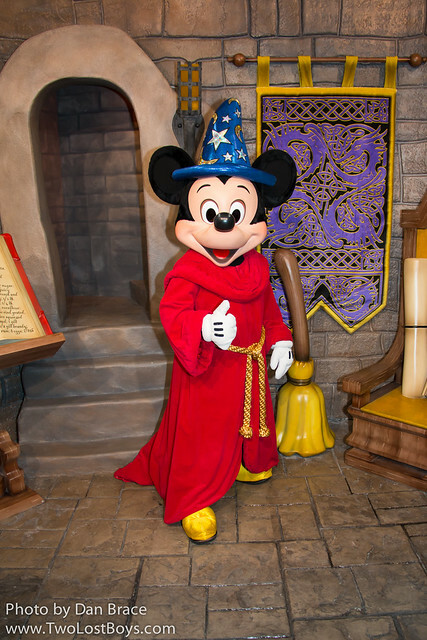 At Disney's Hollywood Studios, Mickey dons his Sorcerer's Apprentice robes to greet budding sorcerers. At Disney's Animal Kingdom Theme Park, Mickey wears his safari outfit at the Adventurer's Outpost on Discovery Island. The Magic Kingdom, Epcot and Animal Kingdom locations all offer Disney's Fastpass+ service, which allow you to make your greeting reservation in advance of your visit. Across all four Walt Disney World theme parks, you can nearly always meet Minnie Mouse, Goofy, Donald Duck, Chip, Dale and Pluto. All six of those have regular locations at all four parks, but times and availability may change depending on the day of your visit. 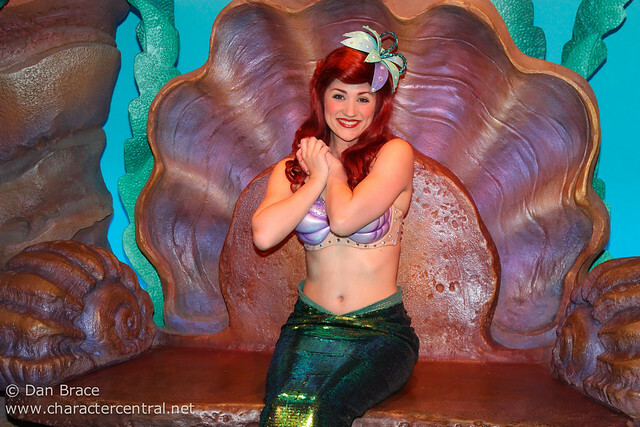 The Disney Princesses appear at the Magic Kingdom at various locations, such as Princess Fairytale Hall, Ariel's Grotto, around the Fantasyland walls, the Fairytale Garden and, schedule depending, in the garden next to City Hall on Main Street USA. Princess Fairytale Hall is the current home of Cinderella, Rapunzel, Anna and Elsa, although of course Disney could change this at any time. 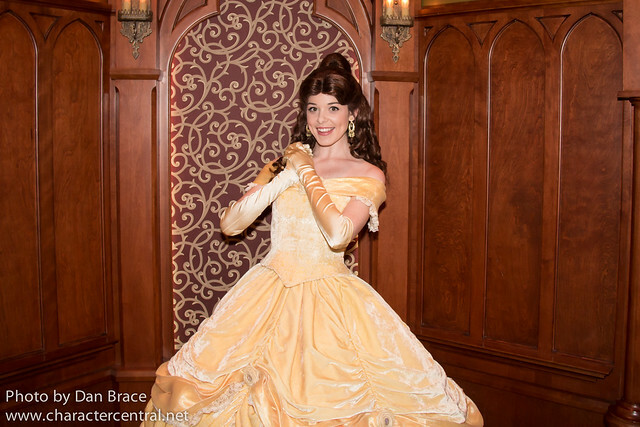 Princess Fairytale Hall accepts Disney's FastPass+ reservations. You can either reserve Cinderella and Rapunzel OR Anna and Elsa. If you want to meet all four, you need to make separate reservations. Other characters, such as Peter Pan, Mary Poppins, Winnie the Pooh, and many more, all appear throughout the theme parks. You should check the schedules for the day of your visit (see further below for more information). 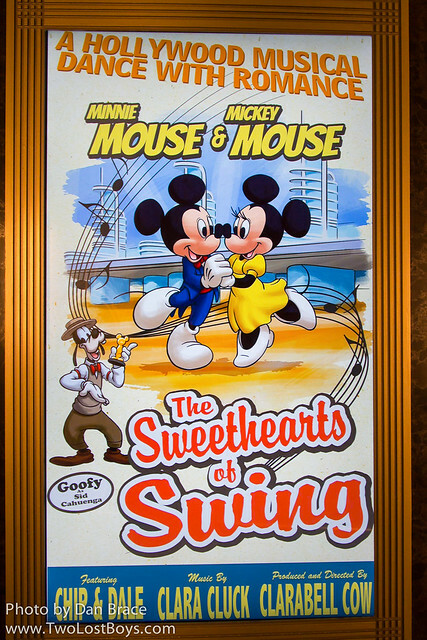 Most of the character appearances at the Disney theme parks are on the published schedule, which can be picked up upon entering the theme parks. There are some that are not always listed though, depending on whether there are other events happening, and how much space is dedicated to the characters on that schedule. 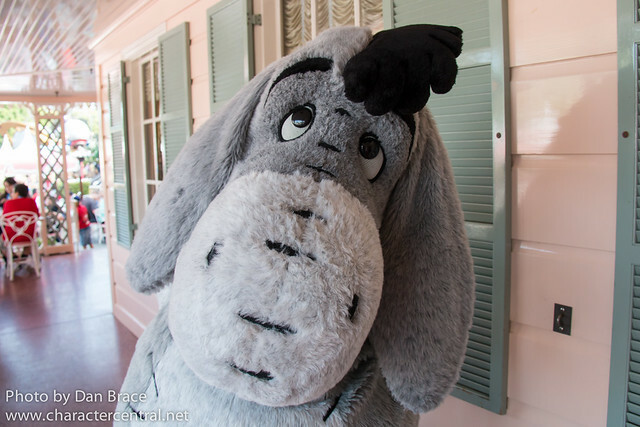 If a character does appear that is not on that day's schedule, chances are they nearly always out in the parks anyway. 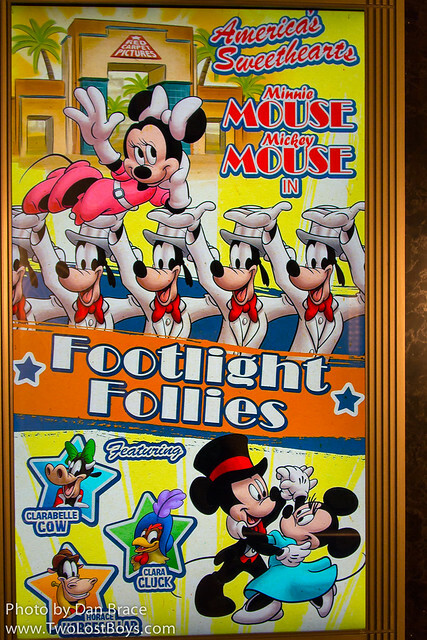 Infrequently, characters may appear at other locations around the parks, and these are not scheduled. 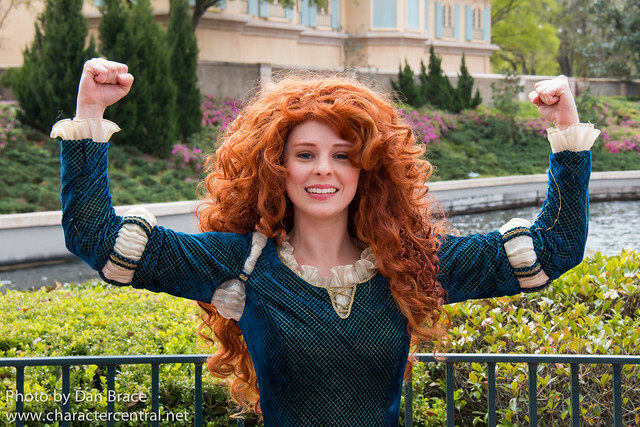 For example, when we were a recent trip, Peter Pan, Merida and Ariel all appeared at the International Gateway at Epcot's World Showcase. These greetings are not scheduled, and are not repeated regularly. The short answer to this, really, is no. The Disney characters at the Walt Disney World theme parks nearly always have set locations that have a queue line in order to meet them, even the randomly appearing ones that I described above. Sometimes, however, you may be walking around and suddenly a character will appear, and they may not form a line. This is fairly unusual, but it can happen. Experiences like this can actually be fun, as sometimes the characters will take the opportunity to roam and explore the park. Like I said though, for Walt Disney World, this is pretty unusual. 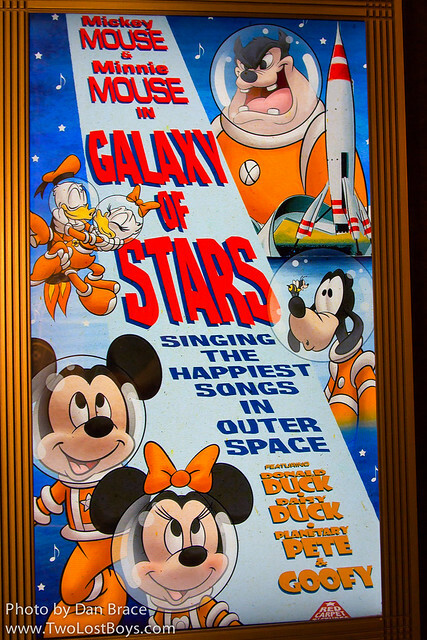 The Disney characters do not regularly make appearances at the Disney Hotels. 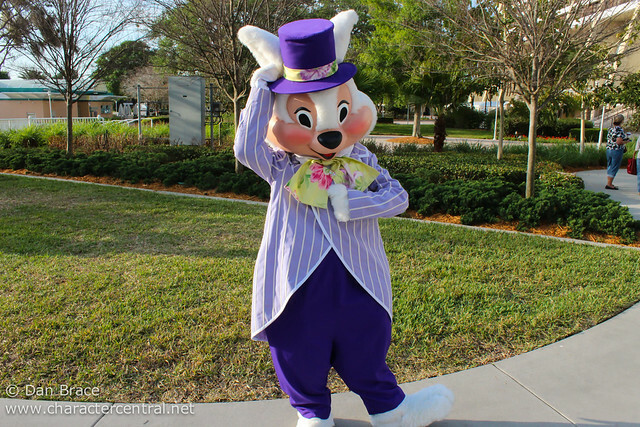 In the past, Easter Sunday has seen the Easter Bunnies and some other characters appear at the deluxe resorts (such as Mr Easter Bunny and Chip 'n' Dale at the Contemporary). Around the week of Halloween and the week of Christmas you may also find characters in themed outfits at any number of the resort hotels, deluxe or otherwise. None of these appearances are ever guaranteed and you should not expect to find them during your stay. This one is a tricky one to answer, but overall the answer is, "no, not nearly as often as we'd like!" Of course, the definition of "rare" can change considerably from one year to the next, but generally speaking, if a character has not appeared in over a year, and show no signs of returning, then they are pretty "rare". Characters at the Christmas and Halloween parties, although not appearing daily, aren't so much rare as they are seasonal or event specific. We would not consider Scrooge McDuck to be rare, since he appears almost nightly for two months at the Christmas parties, but he definitely is not a regular. Mr Walrus from Alice in Wonderland however, who hasn't appeared in around seven years, is considered rare. This one is pretty open ended, but I would say that if you're going to meet a character, be sure to know who they are! Before your trip, if you think there is a chance you may meet one particular character, watch their movie before you visit. When you visit them, you can ask them about their adventures, their friends and families, etc. For example, if you are going to meet Aladdin, ask him how Abu is and if he has gotten into any more trouble lately. 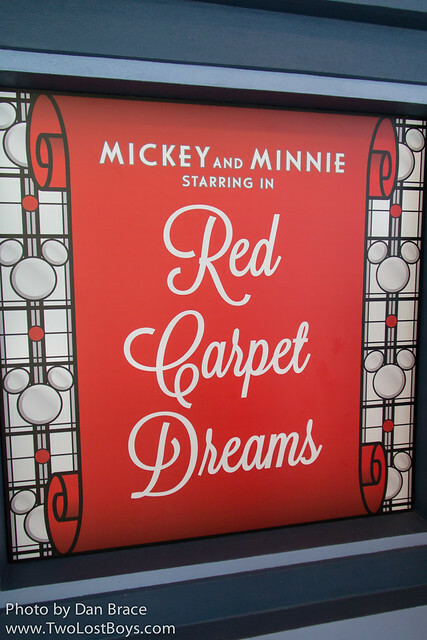 You could ask Mickey - when he's feeling talkative at the Magic Kingdom's Town Square Theater - to perhaps send a special message to your friends back home; be sure to have your camera recording, because you never know what he might say! Characters also love seeing themselves on clothing and accessories, bags, pins and lanyards, etc. Be sure to have your cameras ready to capture any cute moments, and buy an autograph book and a pen that works, so they characters can sign their names. Something which we have taken to doing recently, which both us and the characters really enjoy, is taking along our Disney Tsum Tsums to meet the characters. If we know we are going to meet a specific character on any given day, we try to take with us the Tsum Tsum of them, or someone related to them. They’ll often (though not always) pose with the Tsum Tsums, making for super-cute photos! The Disney characters appear in many shows and parades across the Walt Disney World theme parks. Currently, and always subject to change, the most popular ones include: Disney Fantasy of Festival Parade, the Main Street Electrical Parade, and Dream Along with Mickey at the Magic Kingdom, Festival of the Lion King and Finding Nemo - The Musical at Disney's Animal Kingdom Theme Park, and Beauty and the Beast Live on Stage, Voyage of the Little Mermaid and For the First Time in Forever - A Frozen Sing-Along Celebration at Disney's Hollywood Studios. Yes! You most certainly can! Character dining is a fun way to meet the Disney characters while enjoying a great meal at one of Disney's fabulous themed restaurants. Currently, and again, always subject to change, the most popular ones include: Chef Mickey's at the Contemporary (Mickey and friends), Ohana at the Polynesian Village (Stitch, Mickey and friends), 1900 Park Fare at the Grand Floridian (time of day depending, Cinderella and friends or Pooh, Alice and friends), Cape May Cafe at the Beach Club Resort (Minnie and friends), Cinderella's Royal Table at the Magic Kingdom (princesses), Garden Grill (Mickey and friends) and Akershus Royal Banquet Hall (princesses) at Epcot, Hollywood and Vine at Disney's Hollywood Studios (Disney Jr) and Donald’s Dining Safari at Breakfast and Lunch (Donald and friends) at Disney's Animal Kingdom Theme Park. 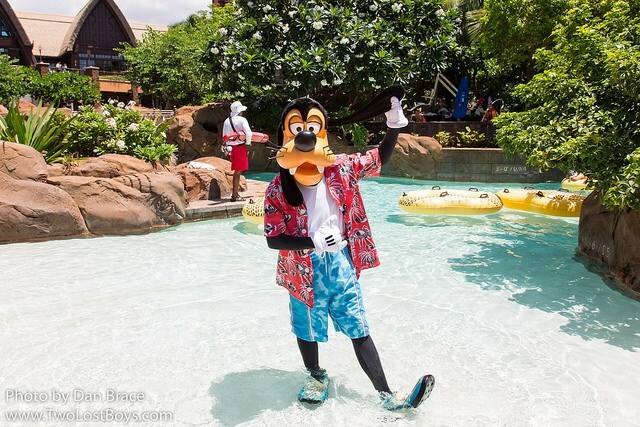 What's fun about these meals is that at many of them, the characters wear special themed outfits for the occasion, for example Hawaiian shirts at Ohana, chef outfits at Chef Mickey's and safari gear at the Tusker House. Reservations are essential, and should be made well in advance of your visit (nearly all Walt Disney World Resort dining locations open their availability 180 days in advance). The official Walt Disney World Resort website has some limited character greeting information, however, I personally have found this to sometimes not have all the information I want. Here at Character Central we have a vast guidebook for all the Disney parks, locations and characters. A good start for a good general overview would be what we call our "cheat sheet" for finding characters at the parks. On this cheat sheet we list the characters we have seen at Walt Disney World, rate the chances of you finding them, and the general location you might spot them. I cannot endorse the accuracy of this next one, but it has not failed me yet, but take note I have no control over it. 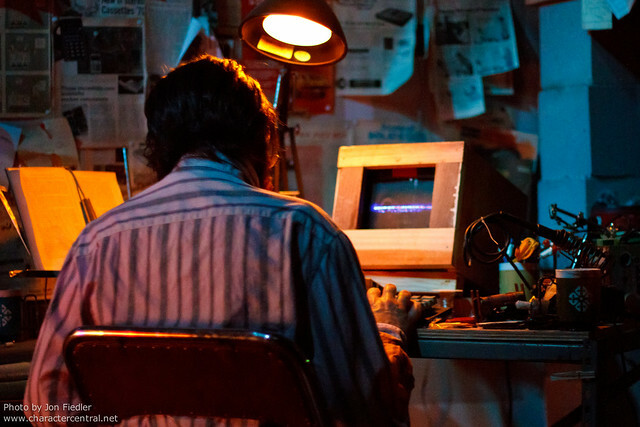 WDWEnt is a good source for all current Walt Disney World theme park schedules, and at the time of writing the person who runs it seems to update it frequently. Those last two links are of course only my recommendations, and should be used as a guide for planning only. Anything can change at any time, without notice from Disney.